Desire comes forth as an activity of your Higher Self, stirring you up to realize that It wants to do more for you—through you! When your Desire is expressed, this is your Voice. Your Voice is the manifestation of Desire. In order to shift your awareness so that you understand this statement, you must first distinguish between your identity as personality and your identity as authentic self. When we identify with our personality, we are identified with our habituated sense of self–who our mind says we are, who others say we are, and who our past said we were. When we are identified with our authentic self, we transcend our limited self and realize that we are part of All That Is. We are not defined by culture or environment or by the past. Our personality is a beautiful thing! But we want to allow our Essence to express through it, not be blocked by its habits and fears. When our identify shifts, so does our experience of reality itself. 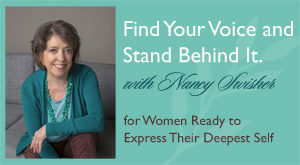 She enrolled in the Find Your Voice program because she felt like she had lost her voice—that she was not in touch with her authentic self anymore. Living a full life with family obligations, she had been going along to get along, as they say. 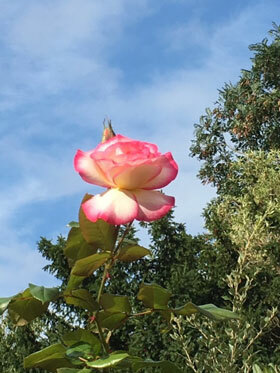 As we worked to shine a light on her deeper Self that was there all along but that she had blocked out with false beliefs and busyness, after just eight sessions she is strongly reconnected to her deep Self. She actually told me recently that for the first time ever the typical January blues has not shown up! 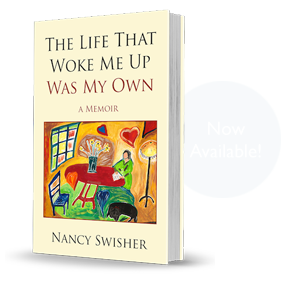 She shifted her identity from the conditioned false beliefs of her personality that had been running her life to her authentic Self. She did this through the practice of Stillness, listening to her Spirit, letting go of the false belief via awareness, and feeling her heart’s Desire. (These are all practice portals in the Find Your Voice program.) Her desires are showing up too! Our transformation is an ongoing ever-evolving process and practice. This is why I always say you have to love the journey. And if you are committed to finding the voice of your authentic Self and manifesting your Desires, there are specific practices and teachings to guide you. Your authentic Self is what I call the vertical plane of who you are; it is your Being—the non-physical part of you. Typically, human beings identify with their mind, with the thought-stream that constantly flows along—with the horizontal plane of life. It takes a lot of work, persistence, and most often guidance from a spiritual mentor to get back to the vertical plane and to understand how to dance with both planes in your day to day life. Is there a Desire attempting to manifest through you right now? Can you feel it? Are you blocking it with your old self-concept, busyness and hardened layers of negative thought? Or by always listening to what others say is best for you rather than going within? Desire is inherent in every form of life, including yours. Desire in the heart is always God/Spirit tapping at the door of your consciousness to create through you. But you must understand how to open that door. For most humans, sadly, it is closed. If you want to open that door to your infinite Presence, where Desire flows, where your Voice whispers, I can help you do that. 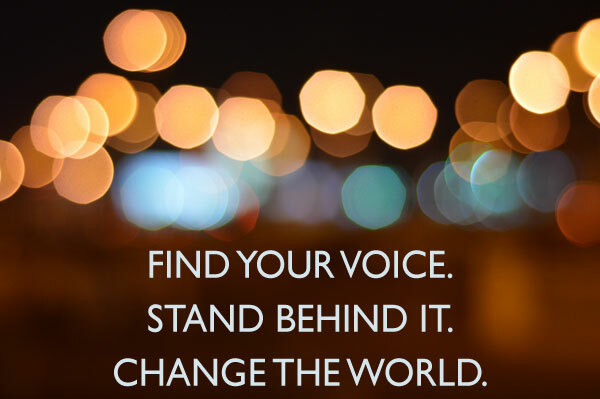 ***** First, my Premier Program Find Your Voice and Stand Behind It: 3-Month Mentorship.This is the most deeply transformative program I offer and it may be time for you to take the leap! CLICK HERE to read and apply. ***** Next, The Breakthrough Session for 2019 (Month of January only). This is the only one-off session I offer. We clear beliefs blocking your Desire, clarify your Desire, work with Forgiveness and you choose your ‘Word’ for the year! CLICK HERE to view this and to purchase.